My Life With Monkeys: Hello Monday! Hello Studio! My little hideaway, my thinking place, my creating space….I’m very lucky to have a room to myself. I have finally finished re-organizing and designing the space to reflect my current goals. I’ve boxed up a bunch of supplies I will no longer need and filed away a few old favorites to make way for my brushes and pencils to take center stage. It is no longer a “craft room;” it is officially an art studio. It dawned on me a few months back that as long as I was staring at alphabet stickers and pretty ribbon all the while digging in the closet to find paint and canvas, I would never truly be able to make the transition. So it’s all out in the open just like my intentions. I am an artist and this is my studio! kitchen hanging racks filled with printing ink, color pencils and painting mediums. Our old kitchen island, bookcases and boxes full of old scrapbook supplies. And a good selection of books and magazines for inspiration. I just added the wire and clips to put up new work, what currently inspires me, or quotes. in the corner? That has upcoming events and hopeful shows I would like to enter. color sits - glass bottles found from all over. The rest of the room I try to keep neutral. both bought filled with treasures found in Europe. and shamefully are pack to the max with all the things I can't part with or believe I will use one day. The main desk from another angle. Yes it has storage and is full, too. So is the wire rack to its right. Adhesive, ink, punches, paints, cutting implements, etc. I am proud to say that the baskets on top now have sketch books and works in progress. So, what am I’m I really thinking and feeling when I enter this room? First panic. It’s a lot of pressure to walk into a room with the hopes of creating something new and hopefully good. Then I breathe and start cleaning and organizing to relax. Ahhh, good, now I will open my notebooks or sketch book or pick up a reference photo to make the next step in creating something. Sometimes I am lucky and already have a plan in place and can just get to work, but most of the time the ideas get stuck somewhere outside of my studio and I need to drag them back in. But once I’ve set on a project or painting I’m good, until about 20 minutes into it when the boys beckon my attention! But as long as I get in there and inhale a moment of creativity, I feel like I’m still moving forward on that long path. Thank-you for walking with me for a moment and I hope you have a Happy Monday! Love your studio!!!! I could create there no problem!!! I love your studio also. Have you sent pictures to Studio Magazine. My friend did, just as a lark, and got her photos and story published. I'm an artist/writer and appreciate all the energy it takes to keep up with your art. Thanks for sharing. Thanks so much for the info and the encouragement! I guess I'll check it out! What a wonderful space to create in! 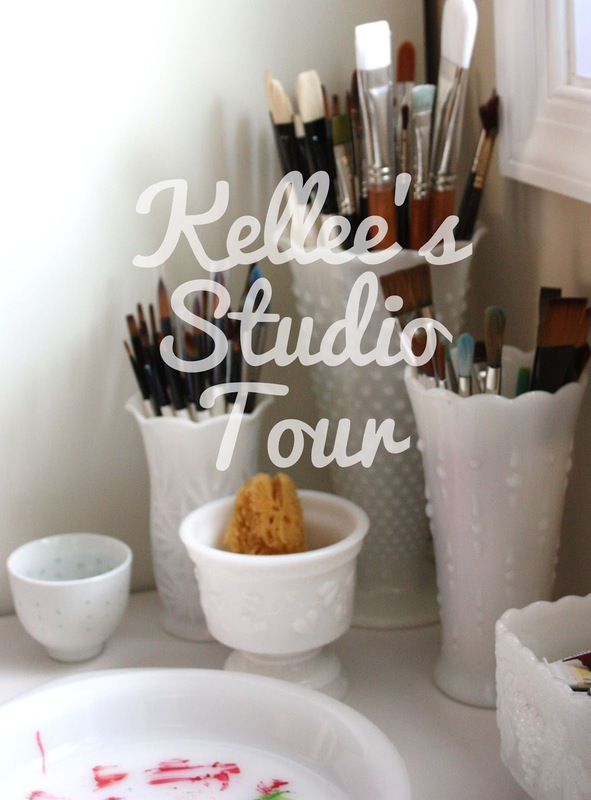 You are an artist and you should embrace that when you walk into your studio. One of your prints currently sits on a bedside table in my room half a world away. International exposure! We love it and my daughter always picks up the frame and talks to her bird! It takes one to know one....yes, a wonderful space, so Organized. But, you have to feel like it's okay to mess it up and get dirty once in a while....try it.